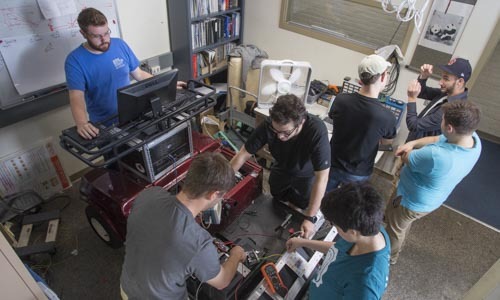 The MS in Electrical & Computer Engineering (ECE) program at WPI offers extensive and rewarding research opportunities to advance your expertise in your specialty. With courses offered on campus or online, you’ll have the flexibility to earn your degree full-time or part-time around your professional obligations. WPI is home to the first building in the nation devoted exclusively to electrical engineering education. Atwater Kent Laboratories houses extensive labs and workstation facilities for furthering the practical application of theories. And no matter how you study, you get full access to our world-renowned faculty and the comprehensive and sophisticated facilities where transformative research happens. Students in the MS in Electrical & Computer Engineering program complete the majority of their courses and research in electrical and computer engineering, but can also select from courses in allied areas such as computer science, robotics, systems engineering, mathematics, and physics. 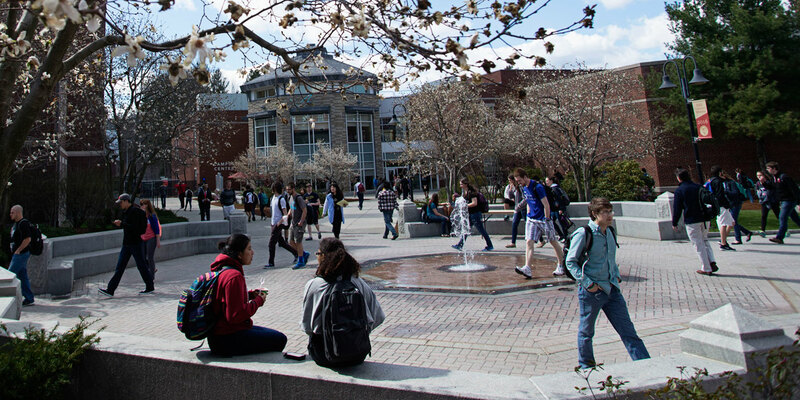 WPI’s flexible degree program allows you to tailor the studies to your interests. You’ll complete either a non-thesis option (which permits directed research and/or independent study) or a thesis option. The thesis option is strongly recommended if you plan to enter a PhD program. Students and faculty work closely together to develop a plan of study that matches both your interests and your professional goals. Our approach is all about hands-on research. WPI’s world-class faculty are known for fueling breakthroughs that impact the world, and you’ll work alongside them in our labs using devices, instruments, and cutting-edge technologies. The graduate student experience at WPI is one that encourages grad students to become active members of the community. With many varied clubs and organizations, ECE grad students are especially welcome to join the Graduate Student Government or campus chapters of the Institute of Electrical & Electronics Engineers or Women in Electrical & Computer Engineering. Graduates of the MS in Electrical & Computer Engineering program face interesting, rewarding, and well-paid job prospects in industries ranging from communications to robotics to aerospace or power systems. Because of the extensive project-based work here, employers know you’ll be effective and well prepared to jump into any project.